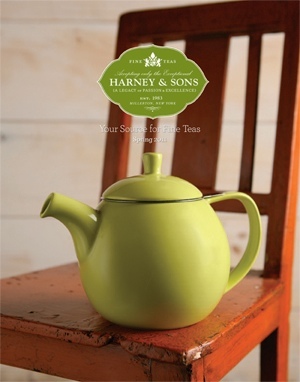 The new Harney & Sons catalog came in the mail today! I know I can shop and look thru the website online at http://www.harney.com but there is nothing like looking at the catalog curled up on the couch or in a bubble bath with a hot cup of tea to make your day! One of my personal favorites is their Paris blend, which is a blend of black tea, with fruit, citrus, and Carmel flavors. I am really anxious to try all of the HRP (Historic Royal Palaces) line and would like to try them all in the future! So many teas so little time (and money)! Oh and just look at the tea sets! I swoon! I have that tea cup!!! So cute! 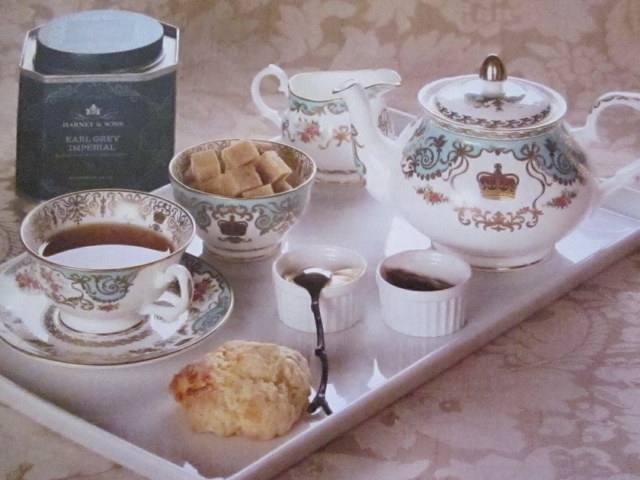 And I am a big fan of the Harney Historic Palace teas. I can’t get enough of the Tower of London blend. The green tea is delicious tea, though I am forgetting the name of it right now.